Back in the late 90's you could not turn on the TV without seeing a commercial for a household vacuum that offered dual-cyclonic action. These commercials taught us that a vacuum with one cyclone was great, but one with dual cyclones is even better. The Dust Deputy videos have shown us how well their cyclone kits work on shop dust, so imagine what two more cyclones could do. 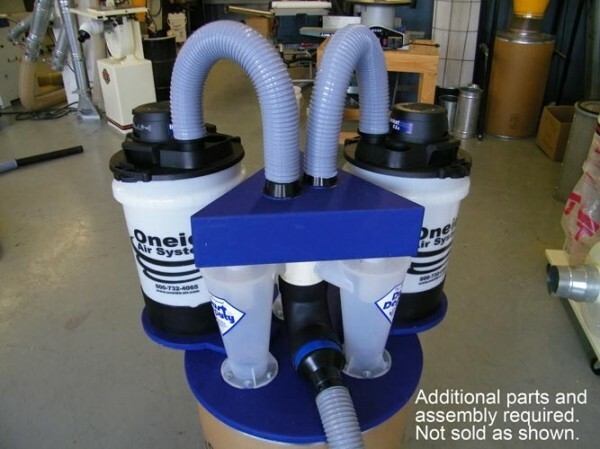 The Dust Deputy has become a popular addition to small workshops; the small size and the ability to separate dust into a separate barrel makes it a prime choice for people looking for light duty dust collection. 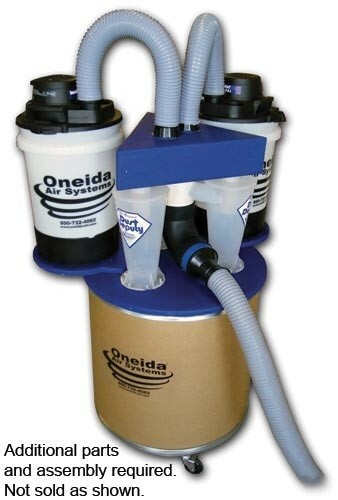 The Multi Cyclone Kit from Oneida offers the same great features as before, except now with the use of three cyclones and two vacuums, you have even more suction power and can take on larger shop machines. 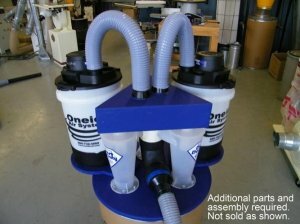 The kit will cost you about $120, and it includes three cyclones, gaskets, two 3" to 2" hose adapters and building plans. To build the pictured unit above, you will need the buckets, the bucket vacuums, and a few more parts. The building instructions are on their site, so you can take a look before you buy.